Mohu has again reinvented the way a TV antenna should look. The new Blade HDTV antenna has a sleek and modern bar design and is both indoor and outdoor ready. Blade will make a statement wherever you place it in your home. 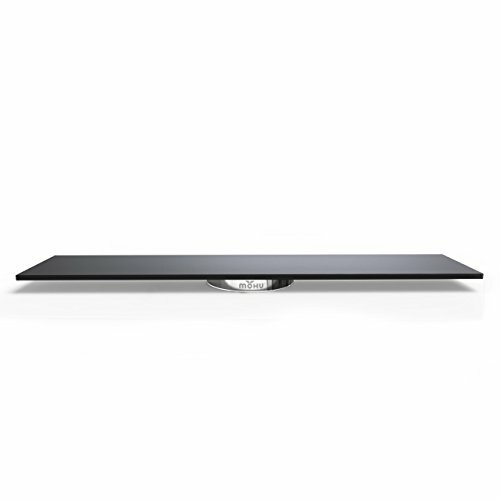 Blade is the newest member of our Modern Series of TV antennas. This television antenna line will feature our brand new modern-style indoor antennas. As part of our Modern Series, Blade kickstarts a new era of Mohu innovation. Blade brings a fresh look to the Mohu family as our first bar TV antenna, unlike anything we have created before. Amplified with new FirstStage technology, the amplifier is located right next to the indoor antenna, setting the noise floor of the digital system and mitigating the loss created by the coaxial cable, resulting in less pixelation for you to enjoy a crystal-clear picture. Watch Free TV: Blade can pull in your favorite over-the-air shows and channels up to 50 miles away in uncompressed HD, up to 1080 HD and is future-proofed 4K ready. Multidirectional and amplified, no "pointing" is needed when setting up your Blade indoor HDTV antenna. A detachable high performance 10 foot coaxial cable is included, giving you ultimate flexibility to place Blade almost anywhere. Mount it on a wall, place on a tabletop, you can even put it outside -- Blade's slim design compliments any home entertainment setup.